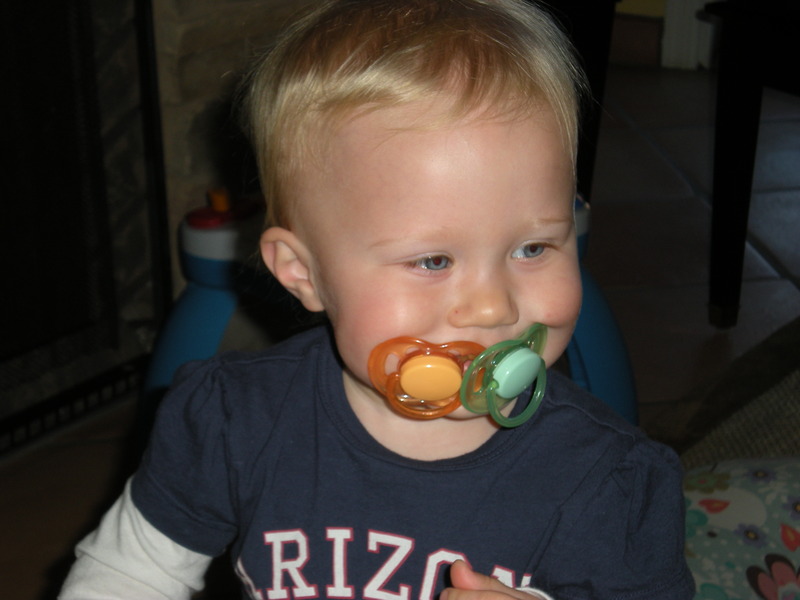 If you see this, it might be time to take away the pacifier…. I think my plan of “wait until she is old enough to understand and say ‘bye bye’ to them” may have to come a little sooner than I anticipated…. Yes, I agree with you….you beTter do something before she starts a new trend!Babies all over the world with double pacifiers…and if those celebrity kids catch on , its all over! But I must say in Bays defense….she is cute as a button! LOL!